The Club is keen to promote safe flying and to minimise the bitter disappointments which can result from mishaps during the early months of learning to fly. For this reason the Club operates a training scheme which is designed to bring the novice flyer to a state of competence. Instruction will preferably be given on the pupil’s own model, but in some circumstances flying tuition will be given on the Club’s training aircraft. 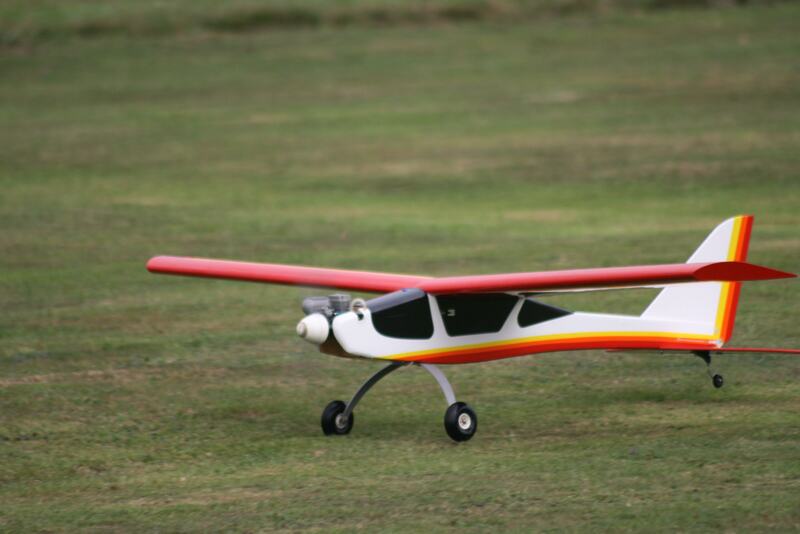 This model is equipped with a dual transmitter “Buddy Box” system and enables safe flying, with recovery from difficult situations always being under the control of the tutor. The Basic Proficiency Certificates provide a measure of competence for pilots operating fixed and rotary wing aircraft fitted with stabilisation technologies. The “A” certificate is awarded by one of the Club’s examiners when the student has demonstrated their ability to operate and fly the aircraft (fixed and rotary wing aircraft without stabilisation technologies) to a satisfactory standard and has a reasonable knowledge of the BMFA safety code. The “B” certificate is awarded by one of the Club’s examiners when the student has demonstrated their ability to operate and fly the aircraft (fixed and rotary wing aircraft without stabilisation technologies) to a higher standard and has a higher knowledge of the BMFA safety code. NOTE: There is no charge for the tests. It is a Club rule that no person is permitted to fly unsupervised unless they are in possession of at least a valid Basic Proficiency Certificate or an “A” certificate. The “B” certificate demands a greater precision of flying and a competence in executing designated aerobatic manoeuvres . It is not an aerobatic test, but is designed to ensure that the pilot can fly the aircraft under complete control when it is in a variety of attitudes and positions in the sky. The “B” certificate is needed by a person who wishes to fly at public displays or in competitions. Again, there is no charge for the test. 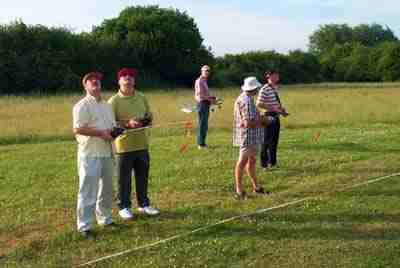 A full list of Club Instructors (logged on 30/09/2014) is available in the Members forum.